While investigating the bankruptcy scandal which, under Obama-appointee Timothy Geithner's influence, stole hard-earned and well-funded pensions from 20,000 auto workers, I stumbled into an underworld of law and questionable processes within our nation's bankruptcy court system. At the recent National Council of Bankruptcy Judges Conference in San Diego last month, I heard phrases like “melting ice cubes,” “rotting fish,” and “fox guarding the hen house” frequently used among 150 federal judges to rationalize certain bankruptcy court proceedings. Is this a practice of law? I was shocked to learn that many bankruptcy judges think that it is fine to go after ordinary shareholders of companies that enter bankruptcy in order to disgorge the value of their investments. They even had a conference session on this! One of the judges I asked about this somewhat flippantly said, "Well, why wouldn't we?" First individual pensions and now ordinary shareholders... is it even safe to work, let alone buy stock or invest in U.S. companies anymore? Could it really be that the U.S. Bankruptcy Court system has become nothing more than a tool for lawyers and insiders to redistribute wealth to themselves and their cronies? Even worse, is the abuse of bankruptcy law so rampant that it victimizes pensioners and ordinary shareholders who had nothing to do with managing the companies? 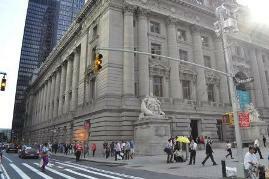 I even heard whispers of the Southern District of New York Bankruptcy Court as being an “unconstitutional” court. That's the very court in which the Chrysler and General Motors bankruptcy proceedings took place and that I had visited just a few weeks earlier as part of my Delphi bankruptcy investigation. Are there more victims of bankruptcy abuse to be found in this dark underworld of the U.S. Bankruptcy Courts? Delphi Retiree, Jim Hebert, from Anderson, Indiana sent me a message about his concerns in this matter. Hebert said, "I am convinced that the bankruptcy judges are puppets. When I was informed that (after 30 years of written statements from GM and Delphi PROMISING my health insurance and life insurance benefits would continue for "the rest of my life") my earned benefits were "welfare benefits", I knew the judge was in someones' pocket. I don't know who that pocket belongs to, but I know I worked just as hard for my benefits as did the UAW workers at GM and Delphi who still have their "welfare benefits". It is a shame what the politicians have done to this great country and how the public is continually being raped by the Ivy League Lawyers that now run big business and big government." 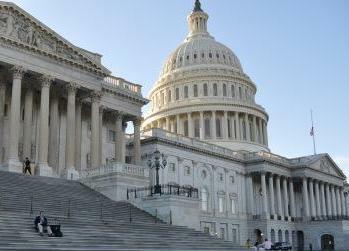 When I visited Washington, DC, in early September, it was the last week that Congress would be in session before the elections. One of the items on my list was to investigate the Delphi scandal and how the Obama Administration abused the bankruptcy legal process to provide political paybacks and redistribute wealth in the Delphi bankruptcy case. I spoke with the Chairman of the Delphi Salaried Retirees Association and then interviewed Alex Cortes, the Executive Director of Let Freedom Ring and also David Freddoso, author of the book Gangster Government and a writer at the Washington Examiner. I also interviewed U.S. Representative Michael Turner of Ohio who provided his clear and concise comments about the “miscarriage of justice” that took place and impacted tens of thousands of retired auto workers and Dan Burton of Indiana who said "... some of these federal judges have gone off the deep end and made some terrible decisions." While on the East Coast, I took a day trip to visit New York. 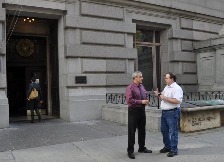 In New York I stopped by the Southern District of New York Bankruptcy Court, located in an historic and opulent building in lower Manhattan. I met the Chief Clerk of the Court, Vito Genna, who kindly took me on a guided tour of the courtrooms where the Chrysler and General Motors bankruptcies took place... the Courts of Judges Arthur Gonzalez and Robert Gerber. (I was not permitted to take pictures inside the court complex.) The Delphi Bankruptcy also took place in the Southern District of New York, but in the Courtroom of Judge Robert Drain located in White Plains. Why exactly are these cases being heard in New York? 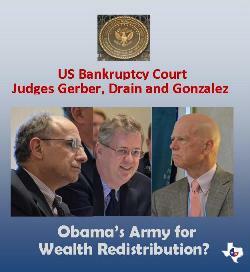 Do Judges Drain, Gonzalez and Gerber have some particular expertise in the auto industry? Do these courts somehow know more about the people and companies affected than say, a court in Michigan or Ohio? A bankruptcy judge who is also an administrative judge told me that often New York courts are chosen because of proximity to the big lenders who will be providing financial resources to the new company. But in this case, the "big lender" is the U.S. Government. So why New York instead of Ohio or Michigan? In future posts of this series, we'll learn more about the actual wealth redistribution beneficiaries of U.S. corporate bankruptcies as enabled by the U.S. Bankruptcy Courts. Little did I know in September what actually takes place in these courts. In September I thought I was finished investigating this topic and that I had all that I needed to tell the story of the Delphi bankruptcy scandal. But as I learned more, I soon found that I was really at the beginning. I was just starting to glimpse the dark and mostly unknown underworld, even some cesspools, that make up our nation's bankruptcy courts. 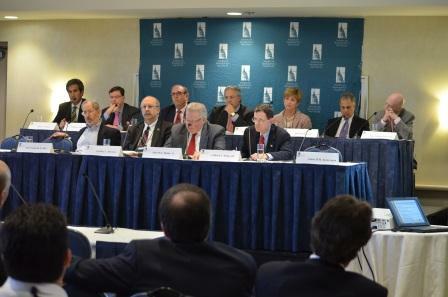 COMING NEXT IN PART 2 OF THE SERIES – The National Council of Bankruptcy Judges Conference in San Diego and the hearing of the American Bankruptcy Institute's Commission to Reform Chapter 11 Bankruptcy.